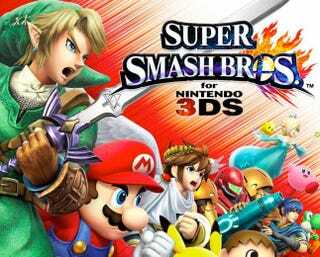 That's right, I can taste Super Smash Bros. for 3DS! Smash Bros is easily my favourite game series of all time. I've played/owned every entry since the N64, and Super Smash Bros. Melee was a driving force behind me saving up to buy a GameCube. I still remember zooming in on Fox and seeing the "hairs" in the improved textures. So "next-gen". I really look forward to being able to play against you all, and it's difficult to contain my excitement at this point (I'm acting like a kid at Christmas). My question is: Are there any game series that keep you up at night in excitement when the release date of a new entry draws near?